Last week in Los Angeles, Richard Mille chose to pay homage to Hollywood and the 84th Oscars ceremony by participating in two flagship events: the cocktail party in honor of Martin Scorsese and the Film Foundation, and the 2012 Academy Awards party organized by the Weinstein Company for the Oscar winners, including actor Jean Dujardin and director Michel Hazanavicius representing the film ‘The Artist’. The festivities began on Thursday, February 24th in the prestigious Hotel Bel-Air, where Richard Mille co-organized a private reception evening with Vanity Fair magazine to honor both the multi-award winning director and the Film Foundation, the organization he founded in 1990. The evening also celebrated the success of his latest film ‘Hugo’, which was nominated for eleven Oscars and took home five on Sunday night, for Best Cinematography, Best Art Direction, Best Visual Effects, Best Sound Editing and Best Sound Mixing. 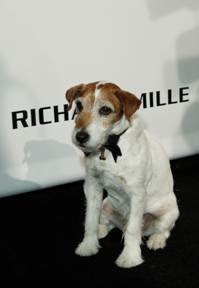 A large number of celebrities, prestigious actors and film-industry executives attended the event, alongside Richard Mille and John Simonian, CEO of Richard Mille Americas. The guests included Martin Scorsese, naturally, the reception’s guest of honor, as well as Helen Scorsese, Demian Bichir, Executive Director of the Film Foundation Margaret Bodde, Lorraine Bracco, Vanity Fair Editor-in-Chief Graydon Carter, Jessica Chastain, Patricia Clarkson, Frances Conroy, Sebastian Copeland, Kevin Corrigan, Elizabeth Cotnoir, Danny Huston, Sir Ben Kingsley, Olga Kurylenko, Fran Lebowitz, Ray Liotta, Vanity Fair Publisher Edward Menicheschi, Kathleen Robertson, Rick Rubin, Howard Shore, Maura Tierney and Pharrell Williams, among others. Another highlight of this week devoted to cinema and glamour was the “2012 Academy Awards party” organized by the Weinstein Company for the Oscar winners. Sponsored by Richard Mille, the event took place on Sunday, February 26th at the Skybar in the highly exclusive Mondrion Hotel. Guests included Meryl Streep, Harvey Weinstein, Kenneth Branagh, Colin Firth, Sean P. Diddy Combs, Petra Nemcova... and, of course, the team behind The Artist led by Jean Dujardin and Michel Hazanavicius, who, statuette in hand, came to celebrate the film’s five Oscar wins in time-honored Hollywood fashion. 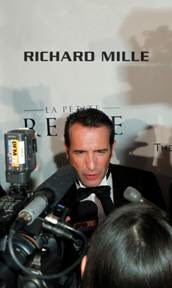 Their awards included Best Picture, Best Actor (Jean Dujardin), Best Director (Michel Hazanavicius), Best Original Score and Best Costume Design.